The House subcommittee that is working on SB 193, proposed legislation to create “Education Freedom Savings Accounts,” met on Thursday (9/21) to reintroduce a revised version of the bill. It was retained by the House Education Committee in the spring because of questions about the program, its administration, and its cost to the state and local districts. This was the third meeting of the subcommittee, which consists of House Education Committee Chair Rick Ladd (R-Haverhill) and Representatives Glenn Cordelli (R-Tuftonboro), David Doherty (D-Pembroke), Mel Myler (D-Contoocook), Joseph Pitre (R-Farmington), Barbara Shaw (D-Manchester) sitting in for Linda Tanner (D-Georges Mills, not present at this meeting), and Terry Wolf (R-Bedford). At Thursday’s meeting, Rep. Glenn Cordelli (R-Tuftonboro) said that the revisions addressed the remaining key questions, including concerns over accountability, the impact on local districts, and inclusion of religious schools. SB 193 would allow parents to receive 90% of the money that the state spends per student, known as “base adequacy aid” (currently, about $3,600) to spend on qualifying educational expenses. At the last meeting, the subcommittee removed homeschooling costs from the list of qualifying expenses. Under the revised bill, parents with children who receive special education services would be able to receive 90% of the special education differentiated aid (about $1,960) in addition to the base adequacy aid. However, due to complicated rules around special education reevaluation, Representative Rick Ladd (R-Haverhill) suggested that the Education Savings Account (ESA) program only include base adequacy rather than including the special education differentiated aid amount. Santina Thibedeau, the Director of Special Education Services at the Department of Education, clarified the process for special education in private schools. 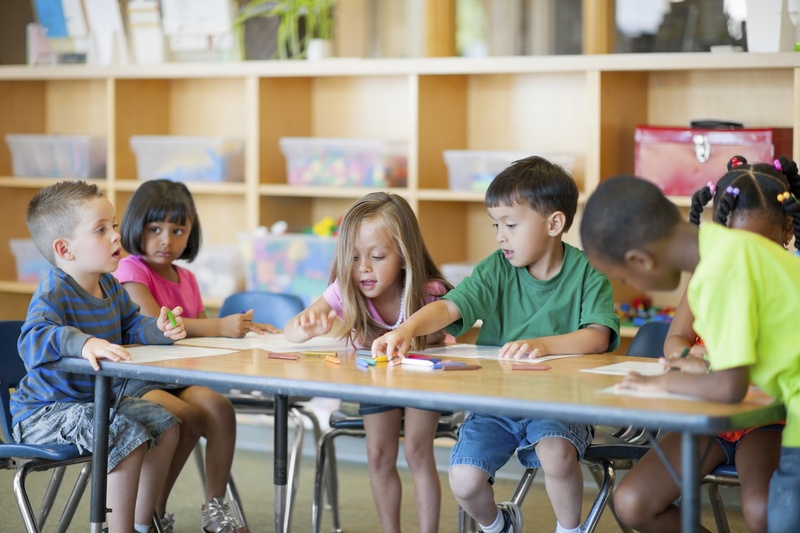 If a child attends a public or charter school, a child is entitled to an Individualized Education Plan (IEP) and all related services. But if a child attends a private school, they are entitled to a “service plan” that sets out services that the receiving school district (the district where the private school is located) will provide directly or through a subcontract . “It’s a one-page plan that states what the child will be receiving. When that money ends, the services ends… They’re opting out of a full IEP, opting out of the pool of services,” Thibedeau told the committee. Under one example scenario, Thibedeau said that if nine students at a private school needed services, for example, two with math, three with reading, four with counseling, the private school would give four students counseling, and the other students would not receive services. If the funding for counseling ran out, the services would end. But there is no requirement that private schools accept students who receive special education. “For those who need more services, we would usually say that they would be better served elsewhere,” Derek Tremblay, Headmaster at Mount Royal Academy in Sunapee, told the committee. Representative Mel Myler (D-Contoocook) questioned how the bill determines the scholarship organization that administers the savings accounts. As written, it does not include a Request for Proposals (RFP) process. Kate Baker, the Program Manager of the Children’s Scholarship Fund (CSF) that administers the state’s tax credit scholarship program, said that her organization works through a different process with the Department of Revenue Administration. Representative Cordelli said that the ESA program would work in the same way. Representative Myler expressed concern over the oversight of the scholarship organization that is responsible for the allocation and use of public funds. “How do you provide accountability of student progress?,” he questioned. “Ultimately, I believe that it’s the parents responsibility and desire to get the best education for their child. Parents will be more engaged, [there will be] additional opportunities for smaller private schools, charter schools in rural areas… I think that it will be a generator of additional services to children in the state,” said Representative Cordelli. “I’m not concerned about the schools that are well-known and we know deliver a quality education. I’m concerned about the bottom that are not–a kid goes there for 2 years and doesn’t get a decent education, what happens in that scenario and what kind of oversight do we have to that?,” said Representative Terry Wolf (R-Bedford). Despite the technical changes in the law, the subcommittee had one looming question: how would the bill impact local school districts? “If a school district loses even 20 students to something like this, using the $3,600 number here, they would lose $72,000 worth of aid. That’s equivalent to a teacher. But you’re not going to save money on transportation or any costs unless they’re concentrated in a particular school and lumped in a particular grade. But typically, they’re spread out. They don’t come from a particular grade. So it’s really hard to save money in that regard,” said Representative Wolf. “We already have severe overcrowding in certain schools. This would hit big cities like a brick. I would rather see this, which would be so limited that its hardly noticable,” said Representative Barbara Shaw (D-Manchester). The subcommittee decided against imposing a cap, which would have limited ESAs to a certain number of students. While there was some discussion at a previous meeting to limit eligibility for the ESA program based on income, it was not revisited at the meeting on Thursday. As written, the savings accounts could be used to pay for religious schools. Representative Cordelli told the committee that removing religious schools from the law would make the bill unconstitutional. “My perspective is that as long as this program benefits the student, not the org, I think it’s great that they have the ability to go wherever might be appropriate,” said Representative Ladd. “I don’t think–sectarian on nonsectarian, it wouldn’t change my position–I don’t think that state funds should go to religious schools, but I also don’t think it should go to private schools, either,” said Representative David Doherty (D-Pembroke). “I think you know my position,” said Representative Myler. “I don’t think we have any truly religious schools anymore. There are a lot of nationalities and religions that go to those private schools now because of the fact that it’s a private school,” said Representative Shaw. The subcommittee will meet again on Tuesday, October 24 at 10 AM to iron out the final details of the bill before presenting it to the full House Education Committee on Tuesday, October 31. Committee reports are due to the full Legislature by November 16.